If you get a traffic ticket in Studio City for speeding, red-light cameras or another driving offense, contact the Ticket Clinic to fight the charges. Our law firm’s mission is to help drivers avoid points and serious charges on their driving records. Our goal: Dismissal of all charges. Our record: An 80-percent success rate on almost three million cases throughout the nation. For anyone whose job involves driving a truck, cab or limo, you simply can’t afford a reckless driving ticket in California. A DUI is sure to get you fired, not to mention the embarrassment and hassles that follow you around; they can even prevent you from landing certain jobs. When you come to the Ticket Clinic, a Studio City traffic attorney reviews your case to determine your defense strategy. We believe in the saying, “the best defense is a good offense,” and that’s how we move forward. 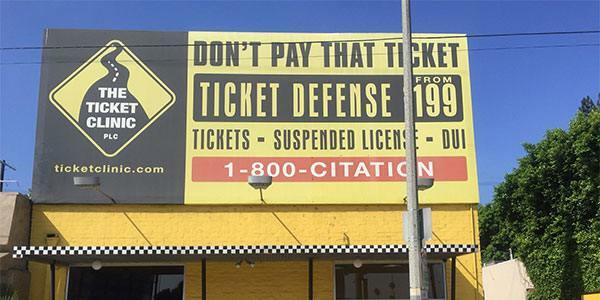 At the Ticket Clinic, you can count on having a skilled attorney, licensed to practice law in California. In most cases, you won’t even need to appear in court. Whether you want to fight Studio City red-light tickets, speeding tickets, DUIs or other driving charges, seek help from the Ticket Clinic. For affordable, accessible and adept representation call 800-248-2846 or fill out our online contact form. We also have Van Nuys ticket lawyers and associates at a variety of California locations.